SKU: 2043070176. Category: Flashlights & Torches. 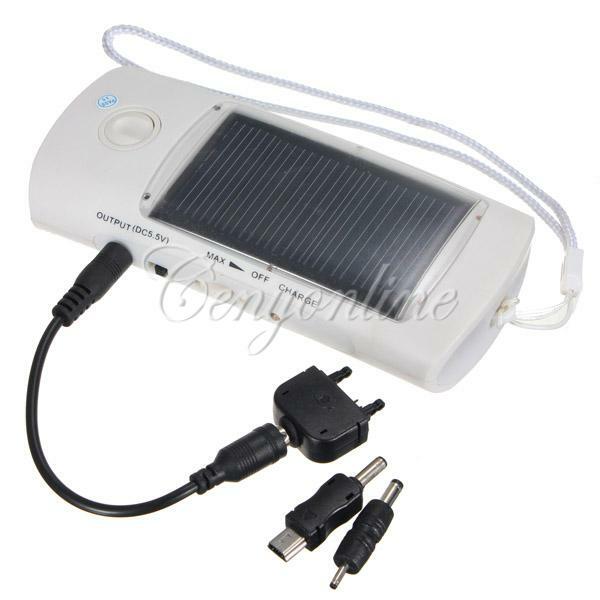 Tag: solar charger radio torch. 1.Hand strip for easy to carry. 3.Mobile phone charger for most popular models. 4.Four high brightness LED lights with life more 10,000 hours. 5.USB cable with 3 connectors attached for charging different devices. 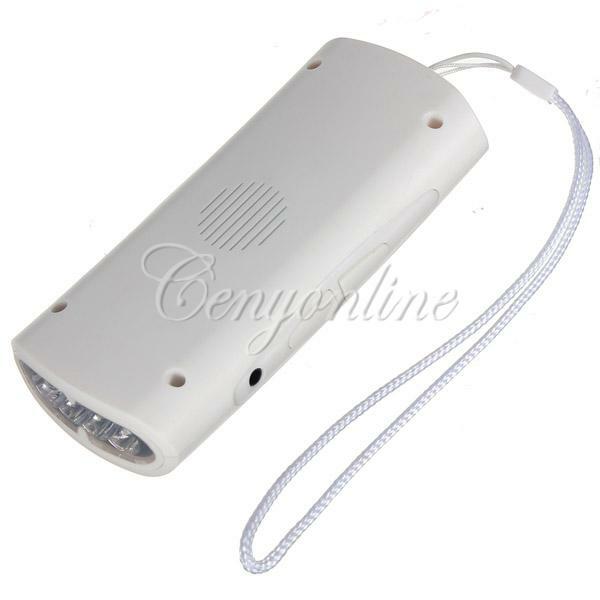 6.LED Flashlight Charger with sensitive FM radio and auxiliary charge jack. 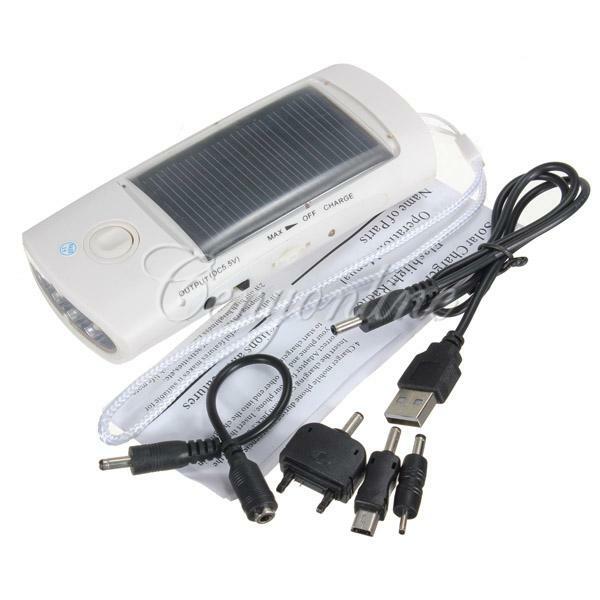 7.This 4 LED Flashlight can charge your mobile phone and digital products by solar power. 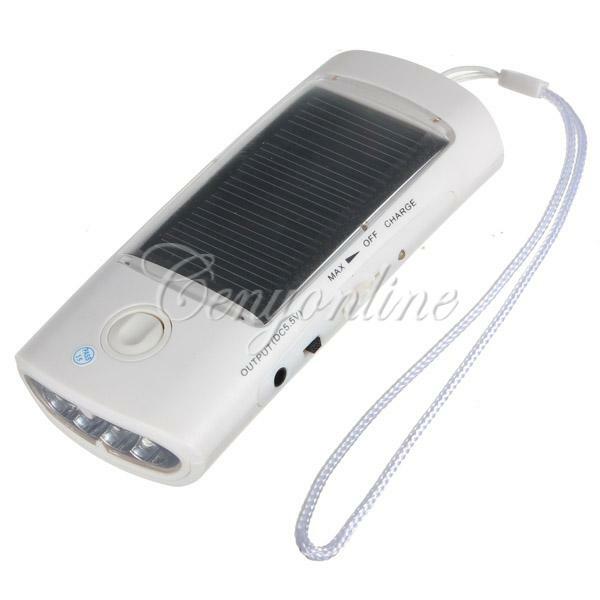 8.Multi-Function Solar Powered Flashlight is suitable for camping, travel, outdoor activities, etc. 9.Made of plastic casing , it’s features: 4 White LED, LED ON/OFF button, Solar Panel, Mobile Phone Charging Output, Volume Wheel, Solar Charger Switch, Charging Indicator, Radio Reset Button, Radio Scan Button, Power Input. 1.Charge this product before use. 1)Put it under the sunshine. The solar power will convert to electrical energy and charge the built-in rechargeable battery. The charge indicator will be bright when charging. 2)Use an AC-D C power charger. Insert the power charger into AC 100-240V and the other end into jack. Also the charge indicator will be bright when charging. 1)Turn on the volume button and adjust to the desires level. 2)Select your desired channel by pressing the radio scan button. Push button to turn on/off the LED light. Insert the charging cable into jack and select the correct adapter for your phone. Insert the adapter in your phone and the other end into the charging cable to start charging.